Winger’s is a restaurant in Utah and Idaho that is famous for their chicken wings. We ate there a lot when I was growing up because it was pretty close to our house and everyone loved it. In fact, Winger’s was the first time I discovered how expensive it is to eat out. I was in high school and finally had freedom with my awesome new driver’s license. I had a craving for Winger’s freakin’ amazing sauce (the actual name of the sauce) and decided to treat my younger brother and sister to dinner. We sat down, enjoyed a bowl of their complementary popcorn and I ordered a cherry coke (another Winger’s favorite!). After we ate our meals and they brought me my check I was blown away by the number. What the heck!? I emptied my wallet of my hard earned money as I paid for the check and tip. I always respected my parents and dates when they took me out to restaurants after that, it sure can add up! 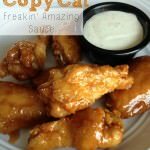 Well, if you love Winger’s or you love chicken wings you can make them in the comfort of your own home for half the price! This is also great on top of grilled chicken, kabobs, or even on top of burgers. 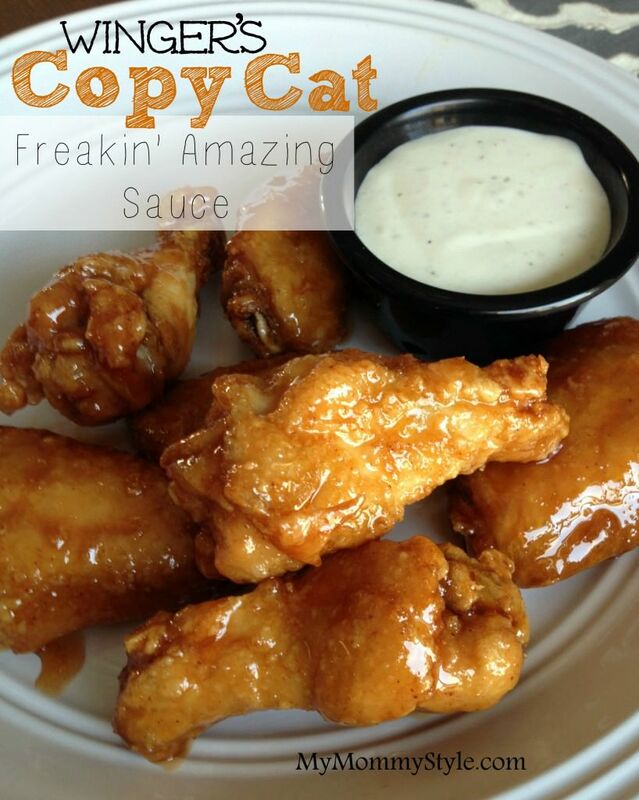 You can even add some ranch to it and make creamy freakin’ amazing sauce for salads! This stuff really is amazing! 1/3 c. Franks Hot Sauce Frank's is the best for this sauce! In a bowl mix together the flour, cayenne and salt. Place chicken wings in a large bowl and toss with flour mixture until they are evenly coated (or you can do it the Shake n' bake way and put it all in a large bag, do 5 or so wings at a time so they get evenly coated). Cover bowl and refrigerate for about an hour. Heat up hot sauce, brown sugar and water in a saucepan until all the sugar dissolves. Remove from heat and allow to cool before adding to wings. The wings turn out best if you don't pour warm sauce over them. Heat oil in a deep fryer to 375 degrees. Fry coated wings in hot oil for 10 to 15 minutes, or until parts of wings begin to turn brown. Remove from heat, place on a plate lined with paper towels. Place wings in serving bowl, add sauce mixture and stir together.